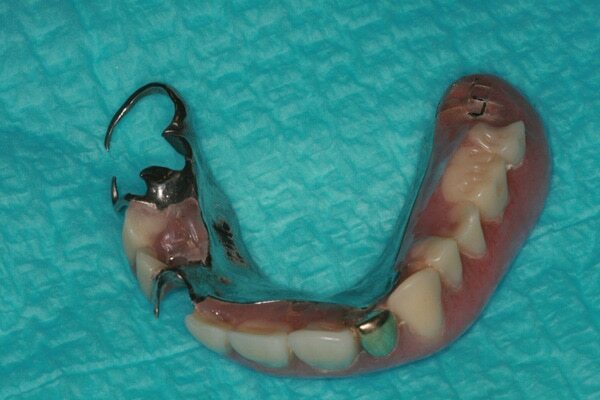 A removable partial denture is either held in place by clasps that hook on to adjoining teeth or by securing to the abutment of a titanium screw that is implanted in your jawbone. 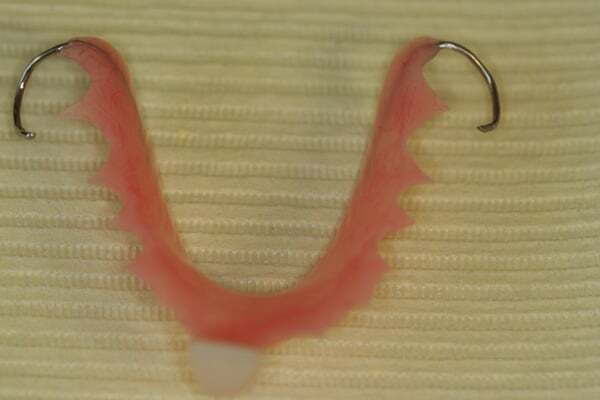 Partial dentures are easily removed for brushing and cleaning. When you are missing most or all of your natural teeth in your upper or lower jaw, chewing is difficult. You may also have difficulty with speaking and forming your words clearly. Smiling could make you feel self-conscious about your dental health. Partial and complete dentures made just for you allow you to feel confident and get back to eating all of the foods that you enjoy. 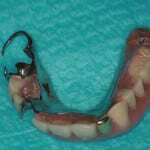 Your dentist might recommend partial dentures if you are missing several teeth on your upper or lower jaw. 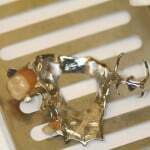 Artificial tooth crowns are attached to a plastic or metal base. 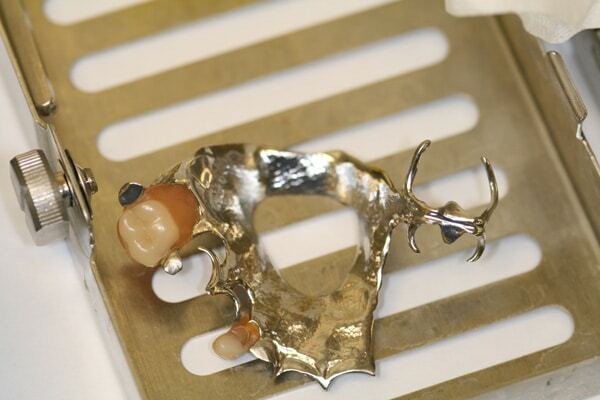 The base is held in place with metal clasps that wrap around two of your remaining natural teeth. The clasps eliminate the need to use any adhesives. 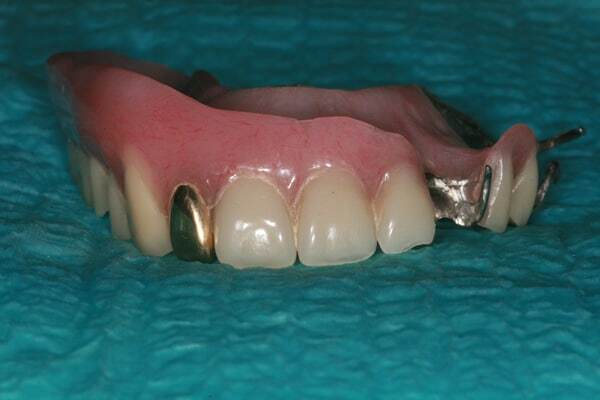 For strength and durability, most people choose a partial denture with a metal framework. 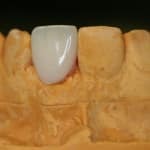 The artificial tooth crowns are made of porcelain, and they are customized to look natural when they are in your mouth. 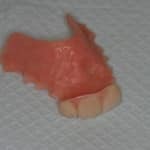 Complete dentures are the standard of dental treatment when you are missing all of the teeth on your upper or lower jaw. 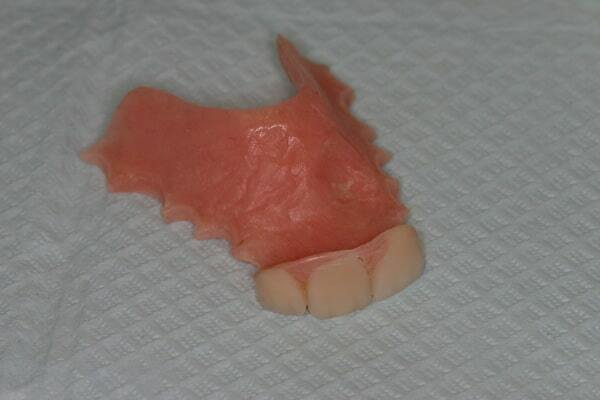 The complete denture is made from a plastic base. 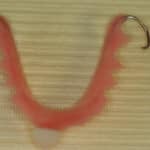 The base is made with a pink-colored plastic that looks like your healthy gum tissue. 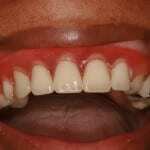 It supports a full set of plastic or porcelain artificial tooth crowns. 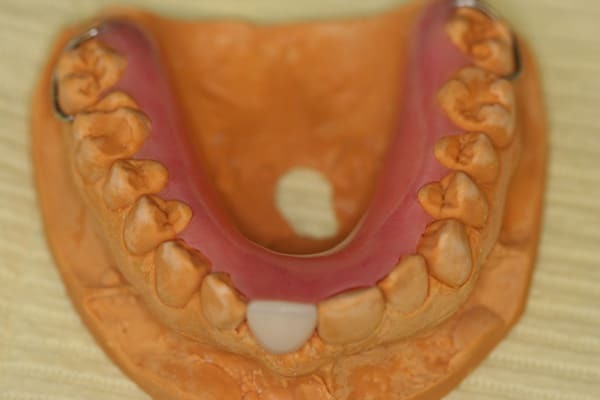 Most full dentures are held in place by forming a seal around your gums. 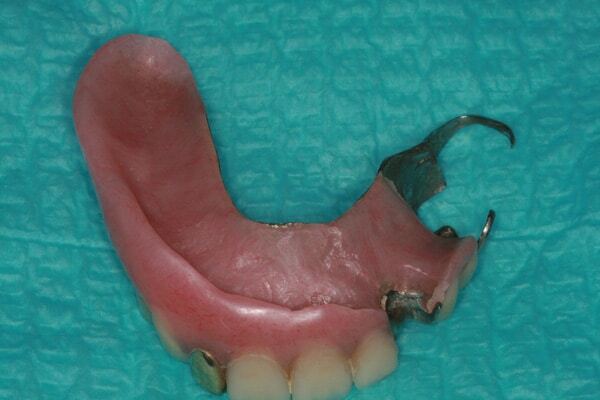 Some people prefer to use an additional denture adhesive to form a tight seal and prevent slipping of the denture. 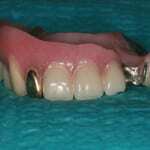 Dental technology has allowed for the development of dentures that are held in place with implants. 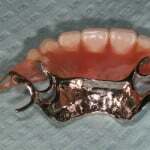 The implants consist of titanium posts that are surgically implanted into your jaw. 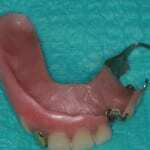 After your jaw has healed from the procedure, a permanent full denture is attached. 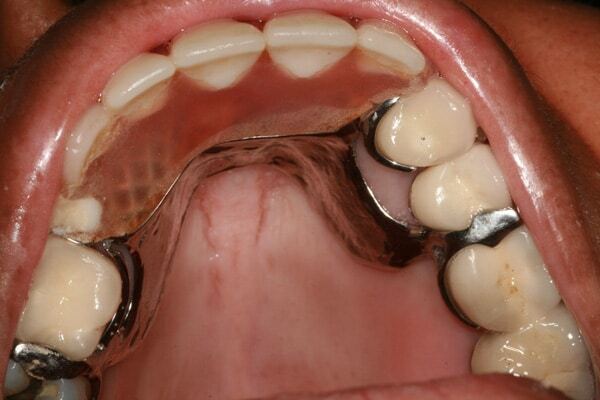 Most people need two to four posts to support the implant. The implants help to maintain your jaw bone mass and the natural shape of your jaw structure. The process takes longer than traditional full dentures, but no adhesives will ever be needed for this type of a denture. Whether you choose a complete or partial denture or an implant-supported denture, the fixture is custom-made for you in a dental lab. 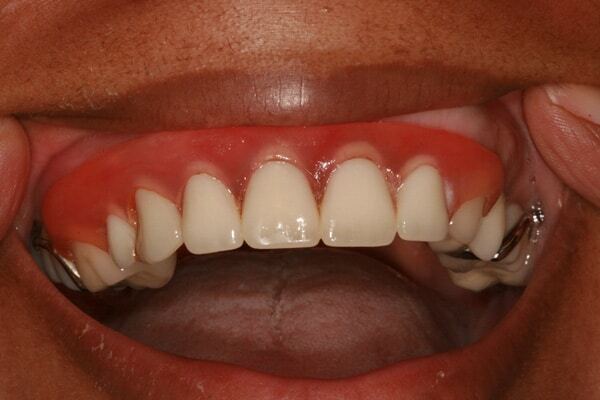 To make the set of dentures, your dentist will take impressions and digital X-rays of your mouth. Those images and impressions are sent to the dental lab. 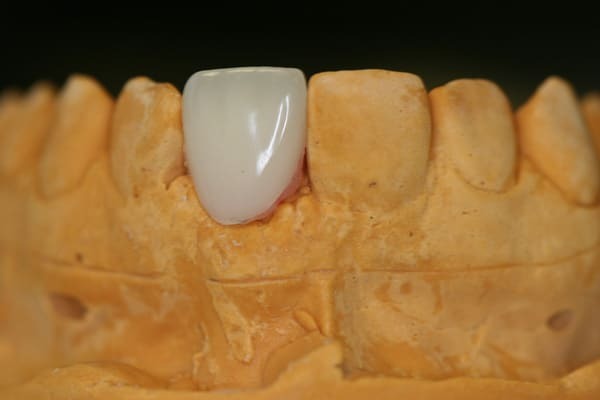 The technicians use them to ensure that the size of the base, artificial tooth crowns and color of the tooth crowns is a perfect fit for your mouth. 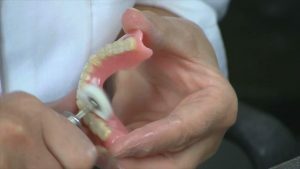 For partial sets of dentures, the dentist will install them into your mouth either with crowns or with stainless steel bands that wrap around two of your teeth. 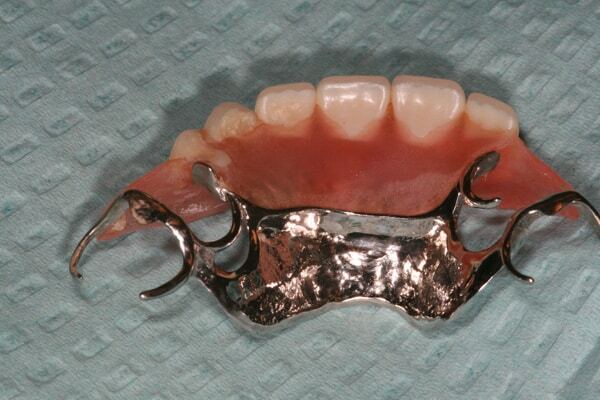 For implant-supported dentures, the dentist places the implants. You will get a set of temporary dentures while your jaws heal. 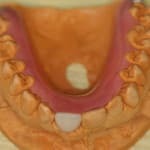 Once your bone is healed, a complete permanent upper or lower denture will be made in the dental lab.